It's easy to give a child a personalized letter from Santa! It's so easy to give your child the magical gift of a personalized Santa letter. Just copy the text for one of the Santa letters on this page, paste it into a word processing document and fill in the blanks. (Try using a script font to make it look extra special.) Then, choose one of the custom letterhead designs at the bottom of this page and paste it at the top of your document. When you've sized the artwork and like the way the document looks, print it on nice paper. Parchment or Parchtone paper works particularly well, because they both have an old-time look and feel. If you'd like an authentic North Pole postmark for the letter, follow the directions in the gray box in the right column. The postmarks are real and come from the U.S. Postal Service in Fairbanks, Alaska. Every year good little elves who work at the post office accept mail for Santa Claus and send replies to please children all over the world. Just be sure to act in plenty of time to ensure the letter can be mailed back to you by Christmas. After a long absence, I just found a new link to the official North Pole postmark. 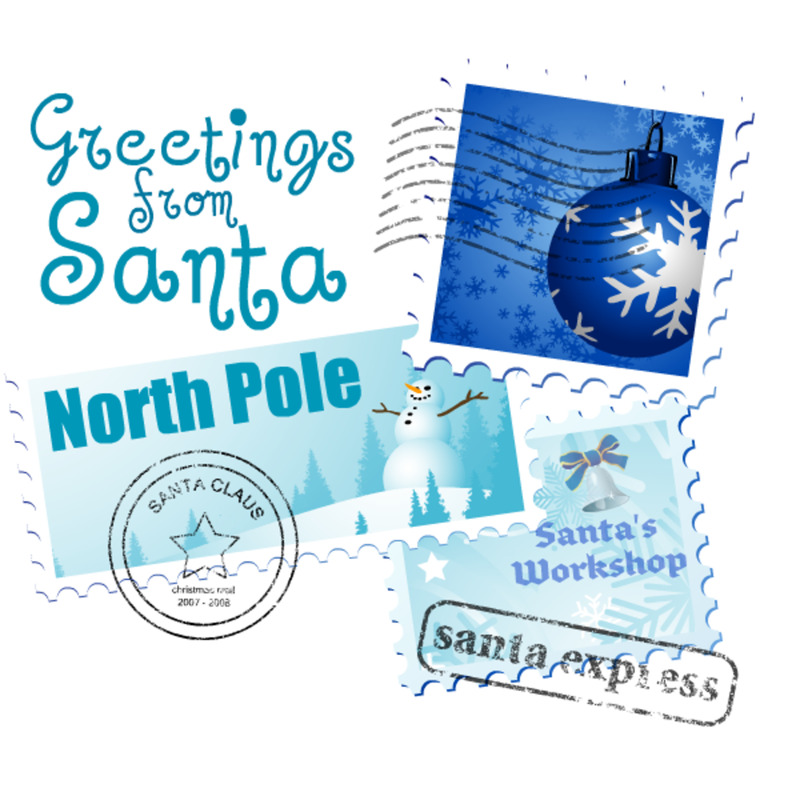 After you've printed the personalized Santa letter, place it in a stamped envelope addressed to the child you want to receive it. Write "Santa, North Pole, Alaska" as the return address in the upper left corner of the envelope. Requests must arrive in Anchorage, Alaska, before December 10! Read the official Postal Service page linked above for more details. Everyone at the North Pole has been talking about you! My elves heard that you're doing well in school and have been minding your parents, so they wanted to make sure you're on my Christmas list. I checked and sure enough, your name is on it. That means I'll be stopping by your house on Christmas Eve! All of us in my North Pole workshop have been hard at work getting ready for Christmas. The elves are building new toys and making sure my shiny sleigh and reindeer are ready for the big trip to ________child's city________. When I look out my workshop window, I see several of my elves training the reindeer so they'll be ready to fly on Christmas Eve. Rudolph's nose is shining bright as ever, so I know I won't have any trouble finding my way to your home! I understand you'd like a new _______gift name________ from me this year. 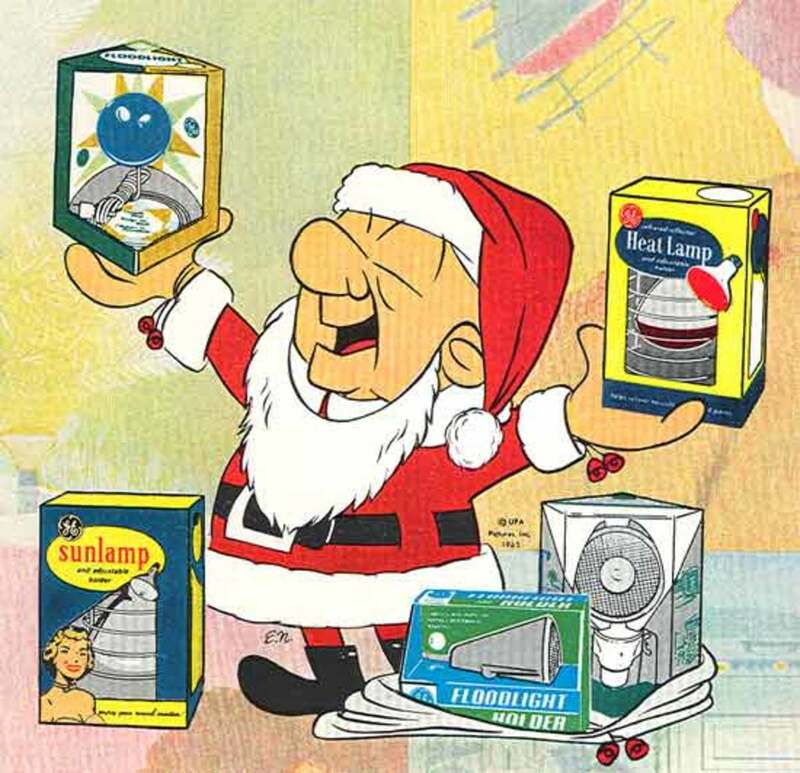 I've talked about it with one of my elves and he's going to search the workshop to see if he can find it for you! I look forward to stopping by on Christmas Eve to deliver it. In the meantime, please be a good _____boy or girl_____, mind your parents and don't forget to leave me cookies on Christmas Eve! I've made my list and checked it twice, and I see that you've been a very good _____boy or girl_____ this year! I'm sure some days it's been hard to be good, but I know you've tried and I'm proud of you. That's why I've asked my elves to make you a special present that I can bring to you on Christmas Eve when I come to ________child's city________. In the meantime, please continue to mind your parents and don't forget to leave me cookies on Christmas Eve! Merry Christmas to you and your family from Mrs. Claus, the elves and me. 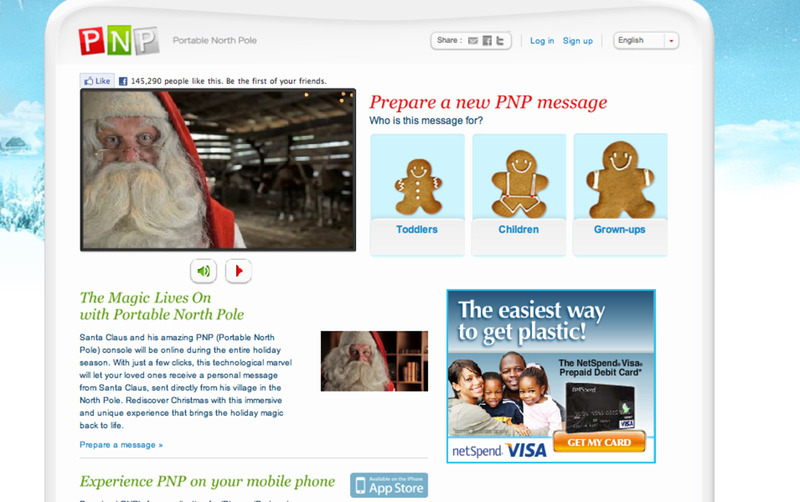 To download, choose a small version of any of the Santa letter clip art above the large image below. When you click on one of the images, it will appear larger. Then, if you have a PC, just right-click and save the final version of the artwork to your hard drive. If you have a Mac, control-click to download the image. All the Santa letterhead artwork on this page was created with the Picnik.com free online image application and are subject to the Picnik terms of service. Please see the Terms of Service link at the bottom of Picnik.com for more information. These images are for personal use only. Please don't post these Santa letters in forums on blogs or other Web sites, or sell the information or images. Feel free to link to this page though. This free e-book gives you links to quality free clip art for the holidays and year-round; plus photos, craft templates and projects, gift certificates and more! These colorful Victorian Santa clip art images have a vintage look perfect for many uses this Christmas. I wanted to make one for my brother like my parents did for me when I was little This worked great and my parents loved it too. Hi, Vienne. The instructions are written on this page. You'll need a word processing program, like Word or similar. i want to make my own letters really bad so show me haw to make my own letters. thank you for this very useful site. i'm sure my daughter will be delighted ! thanks again and have a merry yuletide season ! But Santa is real.. Everytime you do something for someone else just help them, everytime you give a gift. Santa is real in the heart of anyone. These are interesting letters. However, I would not really use this on my child. Don't get me wrong, I love Santa so much but when I found out that he was not real, it broke my heart and it took a while to forget that and I wouldn't want my child to to through that awful feeling. this was very helpful -- thank you so much! I'm so glad you found this page helpful, Madeline! I was surprised to see your comment on my blog! I'm so glad you visited. :) This is such a wonderful resource, and I hope that lots of people use it. Come by and visit anytime. We do drawings, and giveaways just about every month!